The Bachelor's Colton Underwood and his beau Cassie Randolph sport matching jerseys at a hockey game, Vegas Golden Knights Vs. Detroit Red Wings, this Saturday at the T-Mobile Arena in Las Vegas. While Colton's jersey read his last name, "Underwood", his partner, Cassie's jersey had a surprising label. Cassie's jersey read, "Future Mrs."
Following their visit to the game, the 27 years' old Underwood, who recently released a new song, shared a photo on his Instagram hugging the 23 years' old. Guess what the caption read? "Future Mrs."
Cassie, however, didn't post an intimate photo on their Instagram. In contrast, she shared a hilarious pic of the Golden Knight's Mascot pretending to eat her as Underwood tried to stop him. "I loved this weekend 💛🤗"
Not only Colton and Cassie, but the lady's family also pulled the legs of the pair. Landon Randolph, her brother, commented, "Colton doesn't look like he's doing a good job protecting you." "The effort was there through promise." Following the pair's visit to the game, the Golden Knights shared a photo of the reality stars in their custom jerseys on their official Instagram page. The photo was captioned, "We really think we're starting to fall in love with @coltonunderwood & @cassierandolph. This is just.... so unexpected." At the moment, the couple is spending their time with Randolph's family including parents, Matt and Amy Randolph and sister, Michelle Randolph alongside her boyfriend actor Gregg Sulkin. As once the duo had revealed, they both want their relationship to go an extra mile. 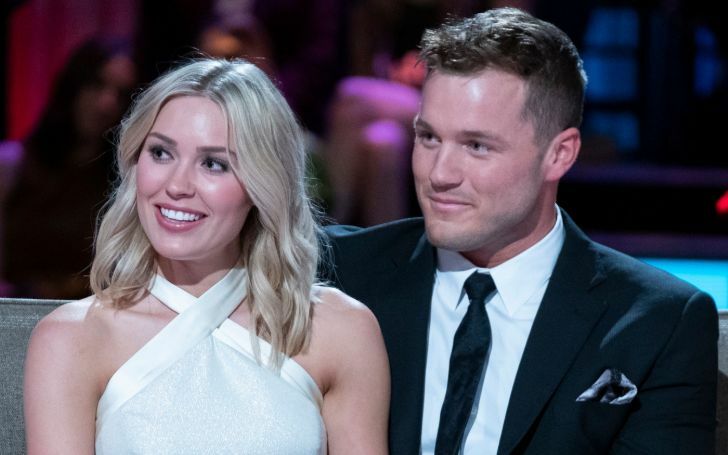 As both of them shared in an interview after the Bachelor's finale, they really want to get to that point of engagement and eventually marriage. The duo had their first ever official date night as a couple at Disney's Frozen on Broadway earlier this March.